Waterfall Gold Castor Oil manufactured by KFOSS Manufacturing Ltd. comes to market from our tropical climate, is an authentic, natural product that is harvested from tree plants on our island mountainous, cool but mostly misty valley terrain. 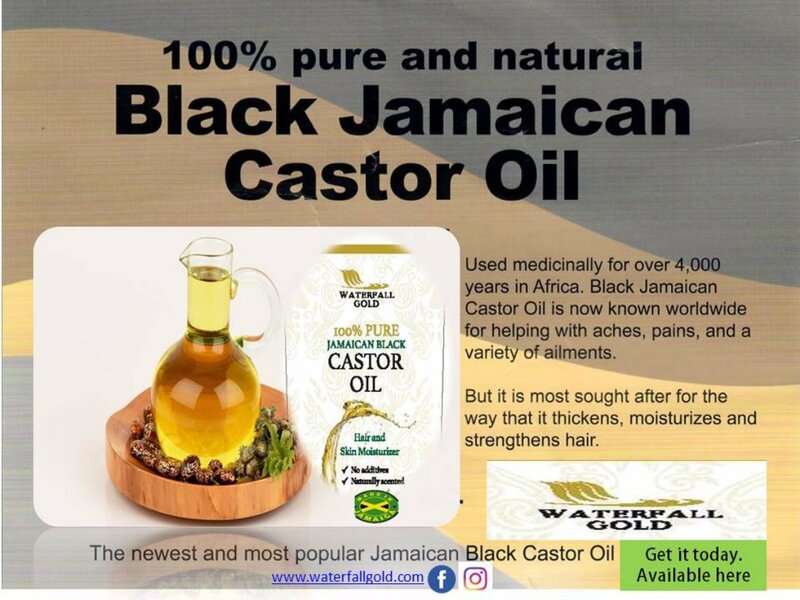 This 100% pure Jamaican Black Castor Oil is packed fresh, specifically in containers to block the damaging effects of ultraviolet rays (UV) and prolong shelve life. Case size consists of 12 single bottles per case of 4 oz at CHF110.77 or CHF9.23 per single bottle.